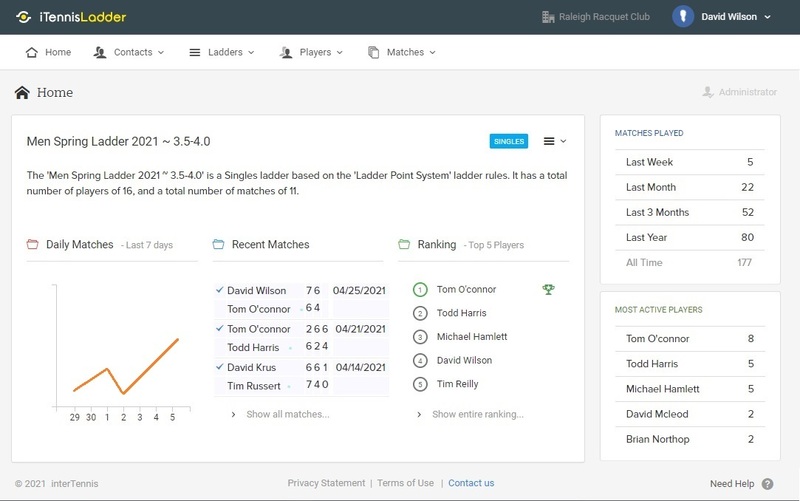 With the iTennisLadder™ you can manage and run multiple tennis challenge ladders online simultaneously. Players are ranked as they challenge each other and play matches. Are you running a ladder? If not, it's time to get started. Start small, try a small ladder first. 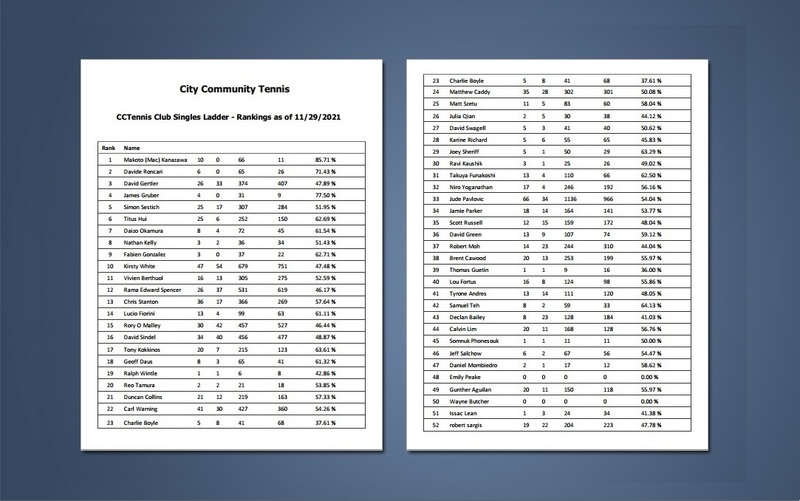 Once your ladder program is in place, you will provide a great service to your club and members. 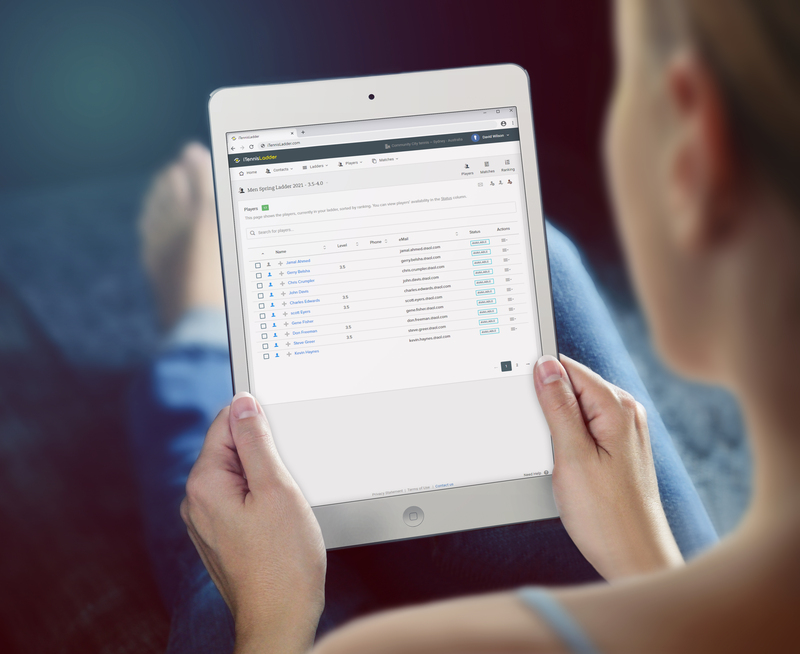 The iTennisLadder saves you hours of administration. The software requires minimal input. No information is typed twice in the system. Once a ladder is setup, it is self running. The iTennisLadder built in rules encourage math play. The system reward players who play early and play often. 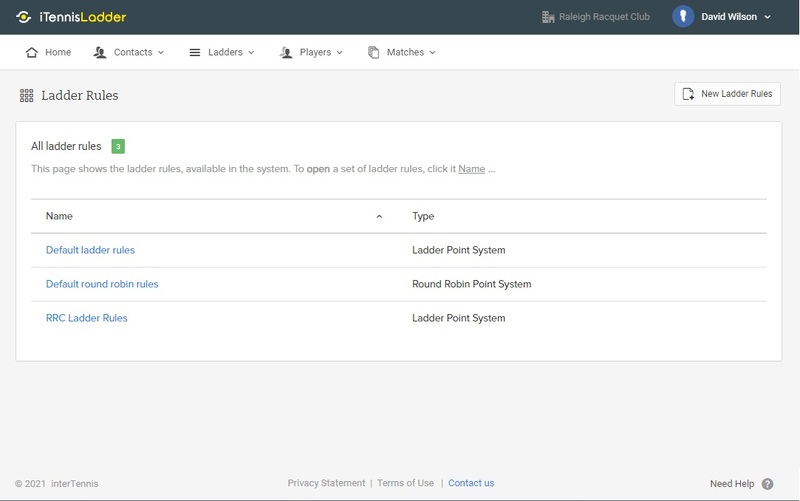 Each ladder can be customized using simple ladder rules. 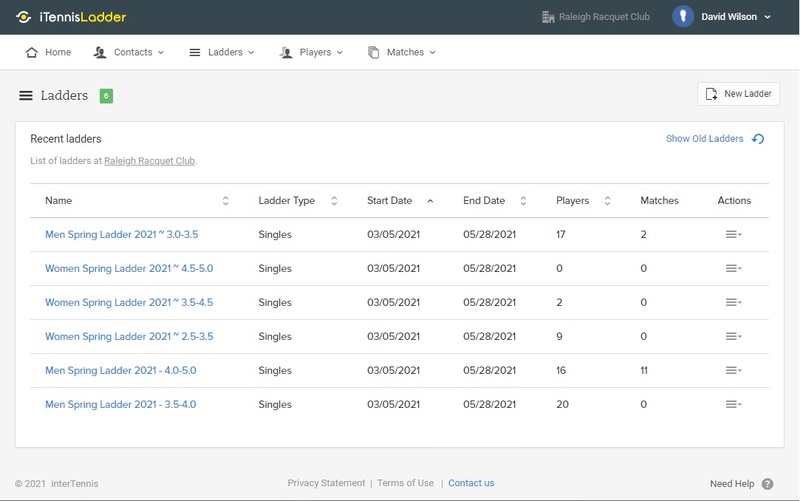 Player rankings are available immediately after match entries. You can even go back in time and view rankings as of a given date. The iTennisLadder is built to scale. The system handles thousands of matches daily. Whether playing singles or doubles players always are rewarded individually. 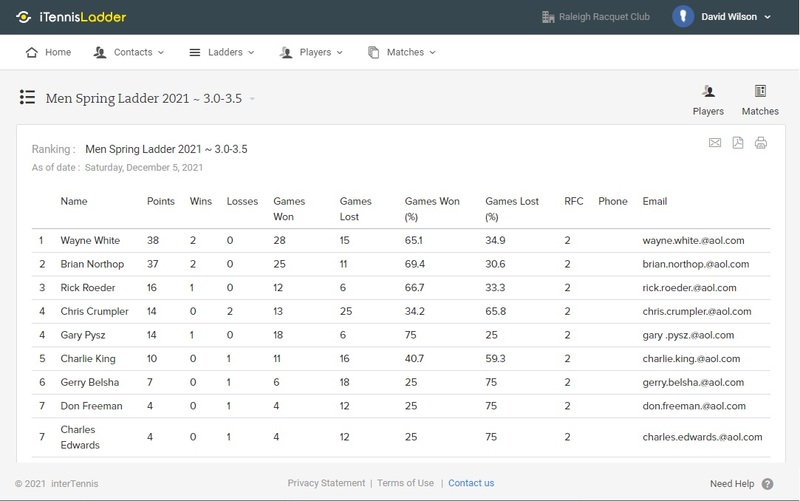 This makes the iTennisLadder™ ideal for players who often switch partners. 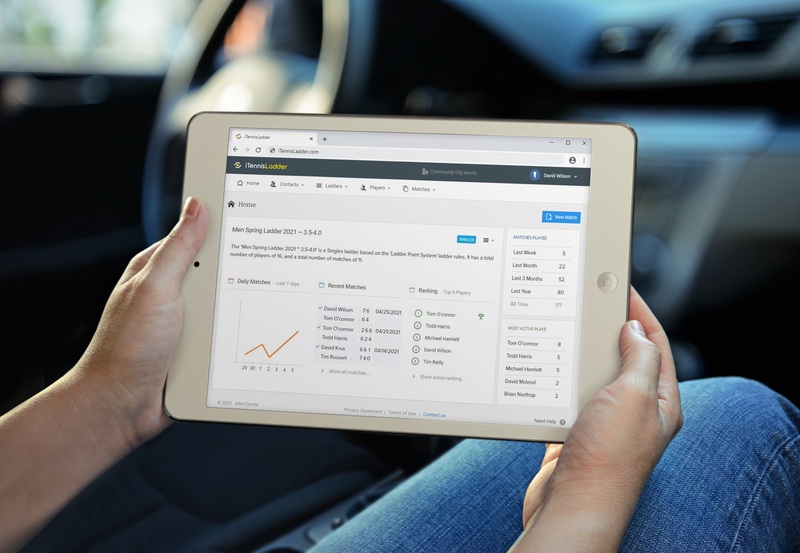 The iTennisLadder makes your ladder available online and easily accessible from a tablet or mobile phone. 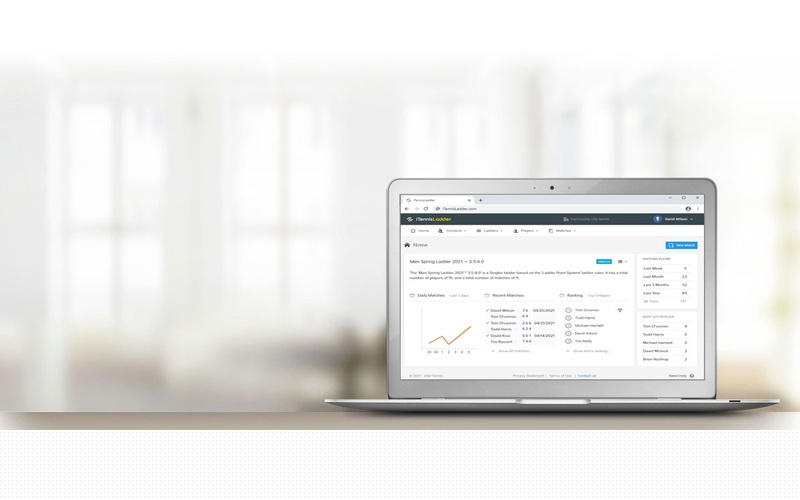 Access and manage your ladders from anywhere. 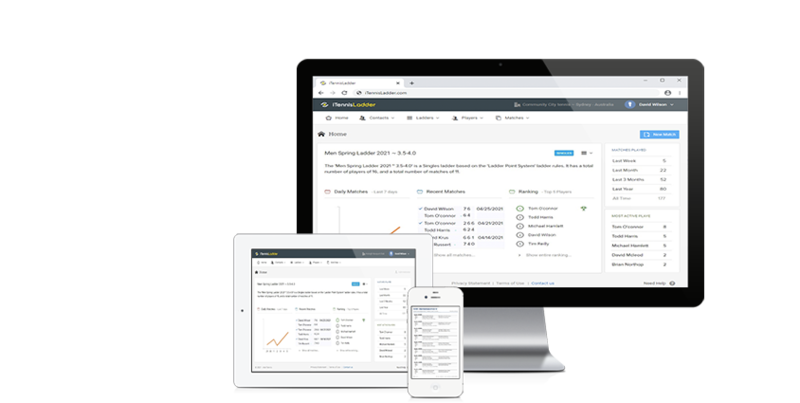 The system makes it very easy to send emails with attached schedules or links. 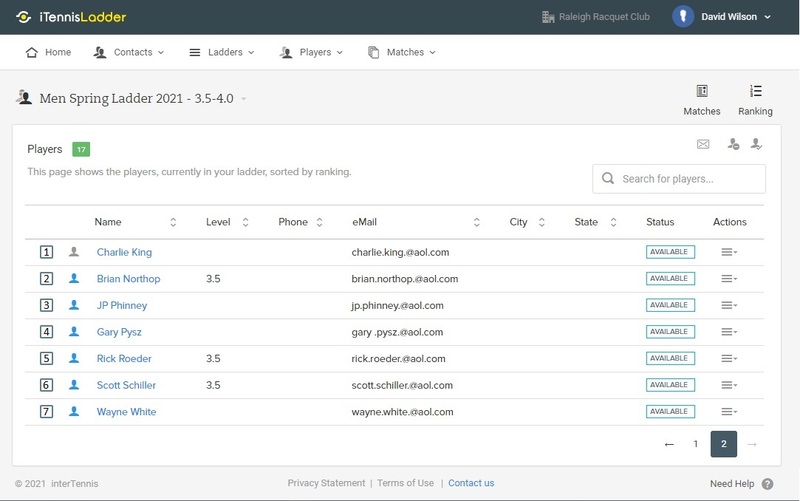 The built in email capabilities allow you to send rankings to players or third parties. Access to the system is private. 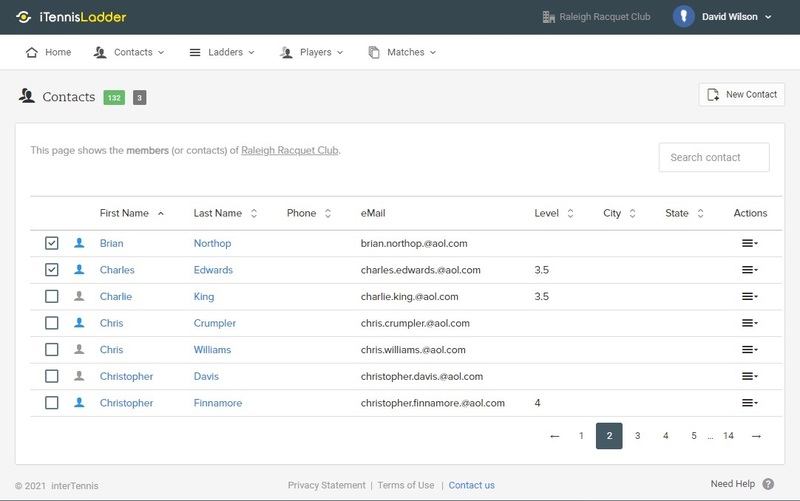 Each player's information is protected and encrypted on our secure servers. We do not share your information with anyone (unless required by law). 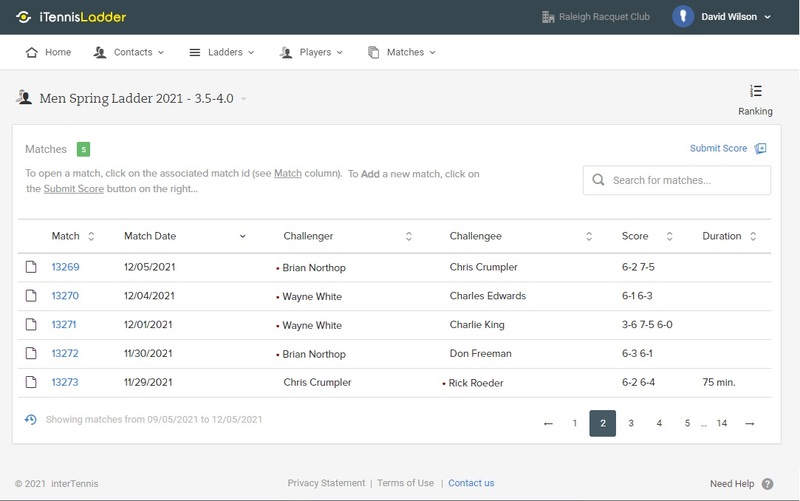 Player rankings are always available based on the latest match results. 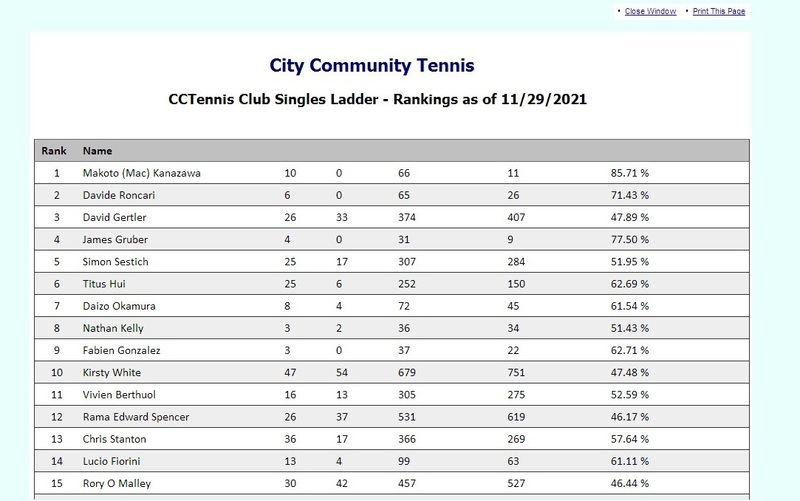 The system can even show rankings as of any date in the past. * Setup fee is waived for all orders prior to 02/28/2015 !